Sometimes it is hard to choose one conference talk that seems particularly inspiration to share with the women we visit teach. Sometimes it is because there are so many lovely talks that we find inspirational. Other times it is because…. well… sometimes nothing really is striking to us. I found the latter a bit with the conference; no one talk really stood out among the others for me. Seems I was not alone: more than a few friends mentioned that the highlight from conference for them was the Mormon Tabernacle Choir’s rendition of Oh, Divine Redeemer by Charles Gounod. In listening to this passionate and emotionally invocative piece of music, I was also touched, and recalled the announcement that the Visiting Teaching Messages for the next while are to be aimed at the divine mission of Jesus Christ. With this in mind, I sought for a talk from conference that best felt inspirational to me, something that drew me closer to Christ. Haste Thee, Lord, to mine aid! The joyful news for anyone who desires to be rid of the consequences of past poor choices is that the Lord sees weaknesses differently than He does rebellion. Whereas the Lord warns that unrepented rebellion will bring punishment, when the Lord speaks of weaknesses, it is always with mercy. I often feel like less of a servant of Christ because of my imperfections. Even though the Atonement is made for me and you, I sometimes subscribe to the idea that I must be a perfect daughter, wife, mother, woman, etc. etc., and when I am imperfect, I task myself as though my imperfections are gluttonous indulgences that I *should* be able to master, conquer, and completely avoid. And when I fall, the darkness that can come as a result of my perceived wickedly derived weaknesses invites a spirit of darkness that can be very, very destructive to me… and consequently, those around me. Thy pity show in my deep anguish, Thy pity show in my deep anguish. Though righteous Thine anger, O Lord! Jesus said, “I am the good shepherd, and know my sheep.”He provides for us the perfect example of what a true shepherd should be. And yet… with the perfect example of Christ, I am perfectly imperfect. And it hurts me. Because I want to please Him. Ah, turn me not away, receive me though unworthy. Scott’s talk is empowering. Though the principles are illuminated through his re-telling of the story of the Ammonites and the Army of Helaman (which is traditionally interpreted through a masculine focus on the sons of Helaman, with a nod to mothers), the concept of mercy is powerfully applicable to all. This is what drew me: mercy. I deserve mercy. That is the purpose of the Atonement, for me to receive mercy. And if Christ is perfect is allowing me mortal clemency, then perhaps I can also allow myself to be more gentle in my shortcomings, as well as being merciful to the shortcomings of those in my company. 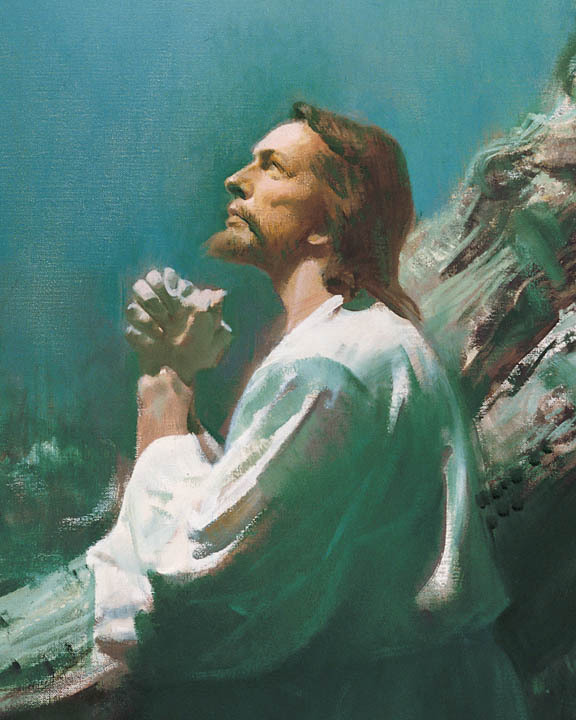 Through the Atonement of Jesus Christ, each of us can become clean and the burden of our rebellion will be lifted. Remember, repentance is not punishment. It is the hope-filled path to a more glorious future. Repentance is not punishment. Repentance does not equal punishment. How liberating! For years, I felt I *had* to feel darkness as a condition of repentance—I had to force a dark punishment upon myself for my weaknesses! Not so! I do not have to do that. Indeed, doing that is not in any way reflective of the truth of the Atonement. I should feel remorse, but I should not force an absence of the spirit. My Redeemer is Divine. He offers me mercy, Atonement and love in repentance. The lyrics of Oh, Divine Redeemer and the words of Scott’s talk, Personal Strength Through the Atonement of Jesus Christ, reminded me of this. So I am going to remind the women I visit teach of these things, too. Because I love them and whatever imperfections they may have. The funny thing is, I can’t see their imperfections. 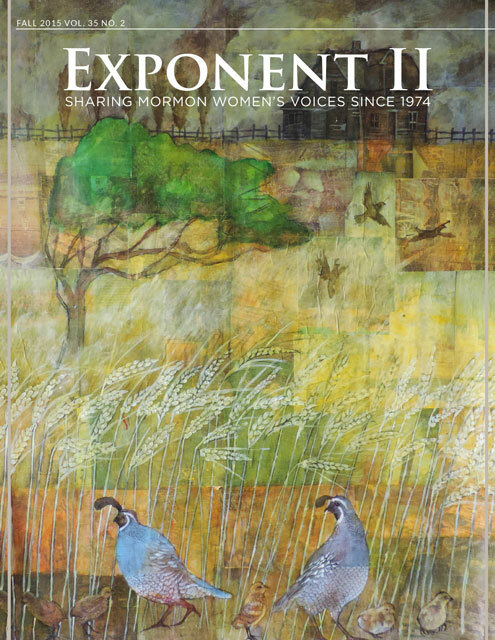 In them, and in the women I know at the Exponent, I only see the reflection of Christ. This is mercy and love. This is sisterhood. This is Christ. Mahalo, my sisters, for reminding me of Christ. What struck you, if anything, from the General Conference talks? What will you be sharing with the women you visit teach? Di, this is amazing, Thank you!!! message, the visiting teacher, because is always is going por my soul and heart, thanks a lot to work hard for feeling the our soul. that is my glad and happier food to my dear soul. love kind from olga.